Great for the day pack for summer or winter. 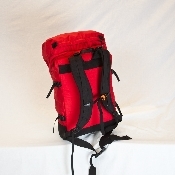 Use as your second pack for solo canoeing or day ski pack. Just the right size as a carry-on for airline trips.